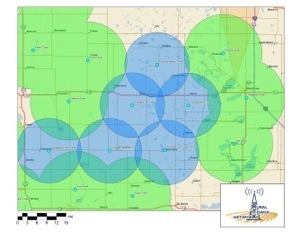 Rural Tower Network is set to begin construction at six locations in South Dakota. Two of which are located in Beadle County and three in Clark County. This project will provide RTK signal coverage for the Hitchcock, Carpenter, Willow Lake, Clark and Bradley areas. This expanded coverage will connect with previously constructed projects near Redfield, Huron and Watertown.